In a war between man and machine, he must find a way to protect them all... After a devastating war forced humans to rely on synths for survival, the two have learned to coexist peacefully. Until now... When detective Dhata Mays is called in to investigate a homicide, what he uncovers threatens the serenity of this futuristic society. The gruesome murder means only one thing: someone is ready to incite another war. Now, it's up to Dhata to ensure that the truth stays hidden - to protect both sides of the battle. But can he be unbiased in a world that forces him to take sides? In a race against time, Dhata discovers a scheme involving cypher hackers, synth prostitutes, and a pair of rival gang bosses that could tear the city apart. When the case puts his loved ones in harm's way, the investigation becomes personal. For Dhata to keep the uneasy peace, he'll have to track down the murderers himself, but no one said he had to take them alive. As in any successful Audio Book a good Narrator is needed to bring the story to the listener and that is true here. So if you want an entertaining read that is not a literary masterpiece you have a good candidate in this Book. I listened to the prequel of this series and was hooked. Dhata (pronounced "dah-hot-tah") is a wonderful character. In this book, he's still a Synth sympathizer and is working to solve another Synth-centric crime. Synth's are updated Androids and even though they are more human than machine, they are treated badly. Dhata champions their cause. So many things happen in this listen, some of them were huge shockers. The narrator was up to the task. His portrayal of Dhata, and his best friend Jason, was pretty special. I loved how it felt so "in the moment." I don't know if there are other books in this series but I sincerely hope so. Great characters in an interesting world. Lots of action as the investigation progresses and twists its way to the surprising conclusion. Very enjoyable! 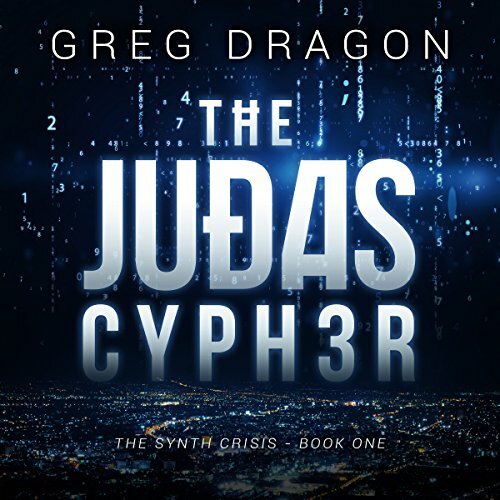 The Judas Cypher (the Synth Crisis Book 1) is my first read/listen from author Greg Dragon. An enjoying & entertaining blend of the mystery & science fiction genres. Narrator Tucker McDougall adds greatly to the listening enjoyment. 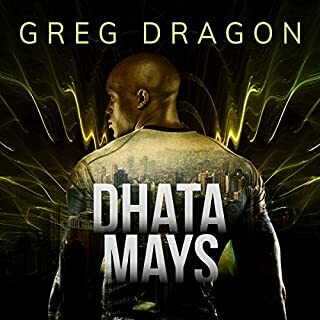 I’ll definitely be reading more from Greg Dragon; in fact Dhata Mays (the Synth Crisis Book 0) is my next read! Loved tbe language & characters & context. 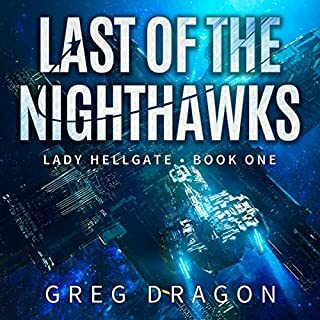 Look forward to more books in this series, as well as other books by author "Greg Dragon"
The first in the series (well, Book "0"), Dhata Mays, was incredible, and I was majorly pumped when starting this one, the next book in The Synch Crisis series. He works his magic yet again, working the Synths, but soon things get dangerous, and personal. Dhata Mays is AWESOME, I've so enjoyed listening to these books! Action, intrigue, danger, great book and great narration. Love it! 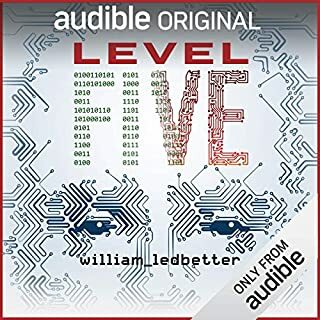 This was a great story along the lines of Blade Runner and Altered Carbon with synthetic people living among humanity. The main character, Dhata Mays, is an interesting character and I found him very engaging. This was a great first book of the series. I am definitely hooked and looking forward to more. Thanks to Greg Dragon and Tucker McDougall for this book. I recently started a longer commute and listening to this book help wile away the time. I enjoyed the book, and thought that Mr. McDougall did a fine job of narrating it. 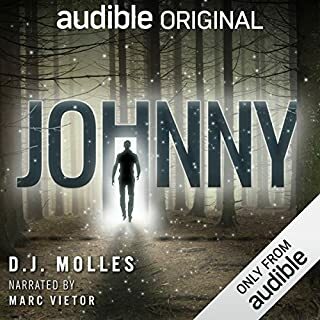 I received a copy of this audio book for free and my review is voluntary. First, I'd like to express my sincere thanks to Greg Dragon for a copy of this book. As a huge fan of Sci-Fi & Crime novels, I was excited to receive this book and see how it stood out from the ever expanding sea of books to choose from. Let me say this, if you like either of the two genres, or a story that sets up a world around itself while teasing bigger things to come, get this book. The story was a little generic at first, but then the details and characters come alive, both in part of Mr. Dragon's writing, as well as Mr. McDougall's narration. While you've heard of things similar in the past no doubt, the way the story is told is definitely unique. If I had to compare it to something, it would be a mix of Blade Runner, Altered Carbon (show as I have yet to read the books), or Black Mirror. As far as negatives go, I would say that the main character feels fleshed out, only in another story. I didn't know that their was a prequel novel when I asked for a copy of this book, so now I really want to read the prequel as it probably explains Dhata's backstory more. Another thing that could be said is sometimes it seems that Mr. McDougall gives Dhata a kind of "standard" voice when the action slows down. The only way I can think of it would be to say that he's simply "reading" the words, which he is, so I guess I have no argument there haha. Overall, a great start to a series that I want to continue to read / listen to. Worth the credit in my opinion. 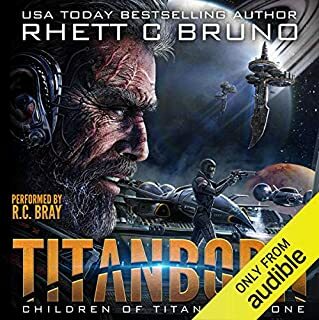 I fully enjoyed this audiobook. Greg Dragon writing style is amazing, it’s simplicity to understand every word is great, it’s a combination of a great story without mind bugling hard to understand words or sentences ! Tucker McDougall perfect performance have done the rest with his excellent narration. I full heartedly recommend this audiobook to all !!! Even so that I got this audiobook book for free I truly believe that my review was an honest one. This was a great book!I enjoyed every minute of it! Tucker McDougall was the perfect narator.I was given this book by the narrator,author or publisher free for an honest review. An interesting world creation with the synthetic humans, gangsters and the main character, skip tracer and synth advocate, Dhata Mays. The author has managed to create a sympathetic group in the synths, who are just as flawed as the humans that wish to keep them under control. Great characters in an interesting world. Lots of action as the investigation progresses and twists it's way to the surprising conclusion. Very enjoyable! His investigation takes him into the underworld of Tampa, into the cyber world of Orlando and even gets him kidnapped and taken to Cuba. His previous meeting with the daughter of a Cuban crime lord brings new danger to his life. He pursues the culprits to protect those he cares about and ends up putting himself and others in danger from the unknown agenda of others. Outstanding book with great plot and many surprise twists and turns. The narration was fantastic and easy to follow. This book was provided free of charge and this review was freely written.. It always rains in this d***ed city. Tampa, and the Synths are almost indistinguishable from humans. But that doesn't stop people from hating them. And killing them. Dhata Mays and his friend, Jason, are trying to keep the uneasy peace: Jason in the police force and Dhata working for him as a PI. They both know that it would take just one major incident and the whole city could blow apart. Then a body is found, it's backbone removed, clean, almost surgical, the work of a professional. It's happened before, Synth body parts harvested to be sold for use used in upgrades. But this time the victim isn't a synth. Now why would anyone want the backbone of an human judge? The second in the Dhata Mays stories, Greg Dragon's sad and seedy vision of a post apocalyptic future is cleverly crafted to world build distinct images in the mind. Dhata himself is well characterised, less so the other protagonists but still sufficient to make them remarkable personalities. I would say 'colourful', but the overall lingering perception is grey, despite some towering glass buildings. 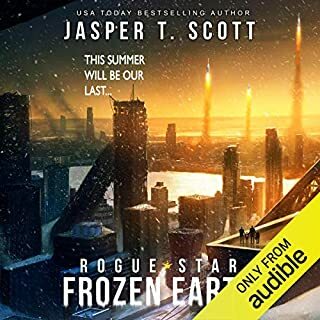 Narrator Tucker McDougall again gives a good performance, his slightly lagubrious tone loping through the story capturing Dhata's personality. His pacing is good as is his voicings of the other protagonists, distinct and appropriate. My thanks to the rights holder of The Judas Cypher who, at my request, freely gifted me with a complimentary copy, via Audiobook Boom. Although the second in the series, this book is entirely stand alone, it's complex mystery more intriguing and involving than the first. Fast paced, it frequently demands an emotional response from the reader of shock and outrage and occasional sadness. An altogether satisfying story. Recommended for all S.F. fans of action packed, futuristic thrillers.